The woman was Alice Olenchuk, a UNA delegate to the 1998 Toronto convention from Parma, Ohio. She was visiting her son, who is on a temporary work assignment with Lucent Technologies in Sydney. I repeat: What are the odds? There were many more amazing discoveries Lesia and I made during our short visit to Sydney. Prior to our departure, Weekly editor Roma Hadzewycz provided me with the e-mail address of Michael Lawriwsky, editor of the Australia-Ukrainian Review and a historian who had contacted me about my famine curriculum back in 1987. Dr. Lawriwsky put me in e-mail contact with Stefan Romaniw, president of the Australian Federation of Ukrainian Organizations. In his mid-40s, Mr. Romaniw is also chair of the Ethnic Communities Council for the State of Victoria, as well as an adviser on ethnic affairs to the Australian premier. Mr. Romaniw suggested I e-mail Jaroslav Duma, chairman of the New South Wales Hromada. Mr. Duma made all of the arrangements for our meeting with Ukrainian Sydneysiders. And what fantastic arrangements they were! We were honored with an invitation for Sviat Vechir with the Rt. Rev. Mitred Zenon Chorkawyj, pastor of St. Andrew’s. Also present were the Rt. Rev. Mitred Ivan Szewciw, the now retired former pastor and author of a book on Ukrainian Catholics in Australia, as well as some 20 other local guests, including the venerable Mother Maria Afinec, a Basilian sister. The entire feast, which ended with multi-voice Christmas caroling, was prepared by the resident Basilian Sisters who, it turns out, came to Australia from Argentina in 1967. Lesia and I will never forget the warm welcome we received from everyone present. Later in the afternoon, the indefatigable Slawko Duma drove us to the home of Bohdan and Stephanie Huzij for an evening dinner. Also present were local Ukrainian professionals, mostly members of the Australian bar, as well as the coach of the Australian Olympic rowing team, and his wife who are recent transplants from Ukraine. A Plast caroling troupe of some 10 singers visited us and, once again, we were made to feel right at home. Later in the week we traveled to Macquarie University where we had lunch with Dr. Halyna Koscharsky, the dynamic director of the Ukrainian Studies Section of the Department of European Languages. Dr. Koscharsky has organized many conferences on Ukrainian subjects including “First-Wave Emigrants: The First 50 Years of Ukrainian Settlement in Australia” and “Ukraine Today: Perspectives for the Future.” Most of the papers were later pushed under Dr. Koscharsky’s editorship. According to Dr. Lawriwsky, there were individual Ukrainian immigrants living in Australia early in the 20th century. 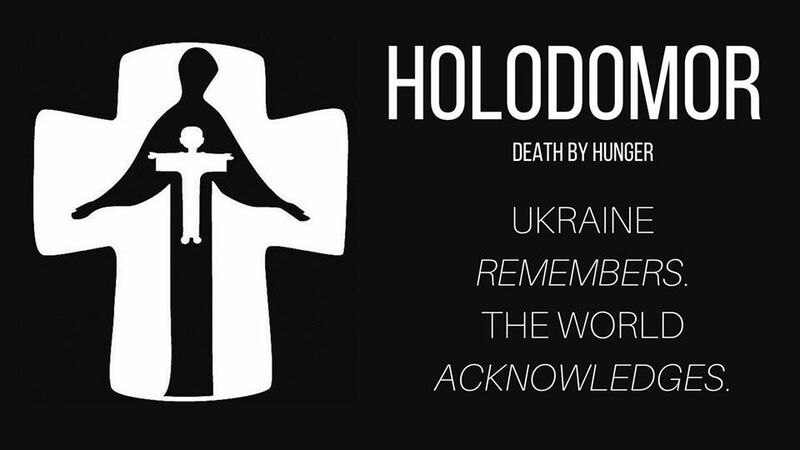 Ukrainian community life did not begin, however, until after the second world war. First-wave Ukrainians began to arrive late in 1948 under assisted passage, the result of two-year work contracts with the Australian government. The bulk of them came over in 1949 and 1950. After fulfilling their two-year work contracts, almost all of the new Australians settled in cities, primarily in Melbourne, Sydney and Adelaide, but also in Perth, Brisbane and Canberra. Two Ukrainian-language newspapers appeared in late 1949, Yednist in Adelaide, and Vilna Dumka in Sydney. The first “hromada” was formally established in Adelaide that same year. Within a short time hromady were functioning in Victoria, New South Wales, Queensland, and Western Australia. Typically, each hromada built or purchased a major community center. The Union of Ukrainians in Australia was established in 1950 during the first All-Australian Congress of State Hromadas in Melbourne. 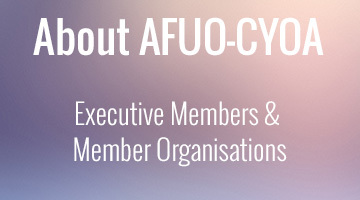 At the next Congress in Sydney in 1953, the union was expanded to include representations of other community-based organizations and eventually was renamed the Australian Federation of Ukrainian. Ukrainian Orthodox Church organization was initially assisted by the Anglican Church. Wooden churches appeared first, followed by brick churches in the early 1960s, bringing the total to 16. Only 1 or 2 percent of Ukrainians in Australia belong to the Ukrainian Evangelical Church. They worship in four churches throughout Australia. Cooperatives began to appear in the 1960s. By 1985, there were seven Ukrainian cooperatives with close to 10,000 members and capital of over $40 million. Lesia and I were deeply impressed with Sydney and its energetic Ukrainian community. All of Ukrainian Australia seem to be well-organized and under the leadership of Australian-born Ukrainians. The OUN(B) vs. OUN(M) fracas is remembered, but appears to play no role in current community life. We plan to return to amazing Australia and urge all to visit. Be sure to say “G’day” to our Ukrainians down under.